Our friends in Florida have eggplant and our friends in Georgia have onions. We can put them together for some pretty good food. A few years ago, Anne Moore, our gardening editor for Garden Smart, contacted me about the Seeds in Space Program and asked me to contribute a recipe using cinnamon basil. The seeds for the cinnamon basil had been suspended in the space station high above the earth for an experimental period of time, then sent back on the shuttle, and given to South Carolina school children to grow in their classrooms. My job was to create a recipe using cinnamon basil. The recipe that I created with the now “earthly” cinnamon basil used eggplant as the primary ingredient, along with ground sirloin, tomatoes and a little cream plus small amounts of a few other ingredients. It made a pretty good casserole if I do say so myself. Even though the cinnamon basil is tasty, I still add just a touch more of ground cinnamon to give it an extra layer of flavor throughout the dish. After you have tasted the meat mixture of the casserole, please feel free to add cinnamon to taste. Preheat the oven to 375 degrees. Spray a 12 x 9 x 2-inch oven proof dish with cooking spray. Preparation of eggplant: Peel the eggplant and slice into 1/4-inch slices lengthwise. Salt lightly on each side and then set aside until ready to assemble. This will also allow the eggplant to lose some of its water. Place olive oil in a large skillet over medium heat. 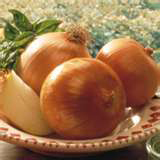 Add onion and sauté until onion is wilted. Add ground sirloin and cook until meat is no longer pink. Add diced tomatoes, garlic, catsup, cinnamon basil, and cinnamon. Cook for 7-8 minutes until flavors have had time to blend. Add heavy cream. Cook for 1 minute. Check for seasonings and season with salt and pepper to taste. Let mixture continue to cook on medium low until ready to assemble. Prepare the filling: Place the ricotta cheese in a medium bowl. Add the egg, Pecorino Romano, marjoram, salt and pepper. Blend well. Set aside until ready to assemble. Assembly: Ladle about 1/2 cup sauce on the bottom of the oven dish. Add one layer of eggplant slices to the bottom. Add another 1/2 cup of sauce to this layer of eggplant. Place half the ricotta cheese mixture atop this layer. Add another layer of eggplant, another 1/2 cup sauce, another layer of ricotta. Add the last layer of eggplant and pour the remaining sauce over this layer. Bake uncovered for 1 hour and 30 minutes or until eggplant is tender and the center is cooked through. Mother loved onions anyway they were prepared. I even remember when she made onion sandwiches! Cut onions into very thin slices. Stir together vinegar, water, and sugar until sugar dissolves. Add to onions, tossing gently. Cover and chill 8 hours, stirring occasionally. Drain onion, discarding marinade. Pat the onions dry and return to the bowl. Stir in the mayonnaise and the celery seed. This is great with fish! Serves 6-8.